For 25 years, God's Love We Deliver has created nutritious meals for the body and soul. This weekend, Artists & Fleas presents a very special Valentine's sale and fundraiser, Love For Sale, to benefit the organization which has improved the health and well-being of those living with HIV/AIDS, cancer and other serious illnesses, by delivering high quality meals. 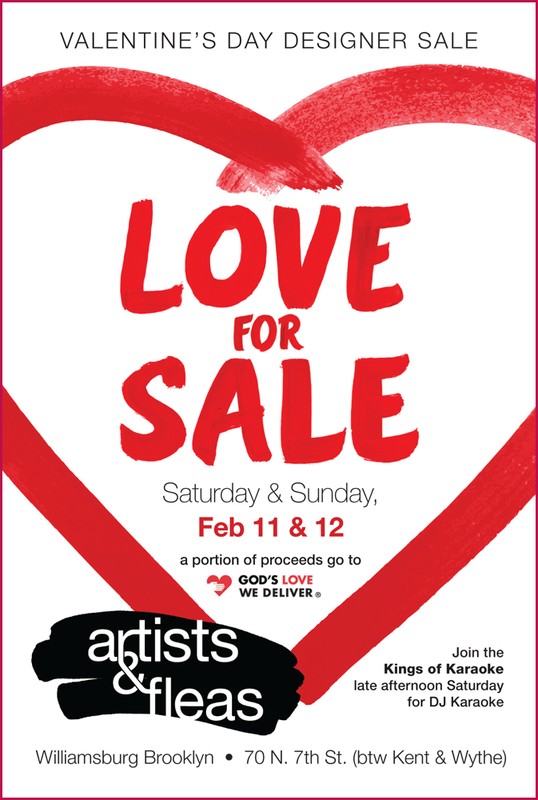 Ricky Becker of Spooky Boutique, has transformed a part of the market into a red room, merchandising the romantic works of over 20 participating artists, designers and vintage collectors, with a generous portion of the proceeds going to God's Love We Deliver. 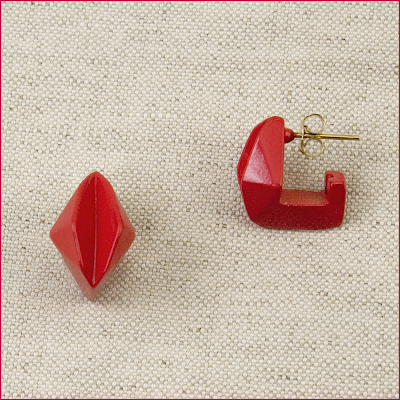 Shop this weekend for all things red, including my vintage Lips earrings, pictured above, and enjoy some Brooklyn style DJ Karaoke on Saturday, starting at 5pm. Artists & Fleas is located at 70 N. 7th Street between Kent & Wythe in Williamsburg.